Two parallel rectangles, each with a band of diamonds filled with overlapping crosses. Half of the design is repeated in the triangles between diamonds and the borders. The long sides of the rectangles have a border row of little peaks, possibly representing stylised plants. 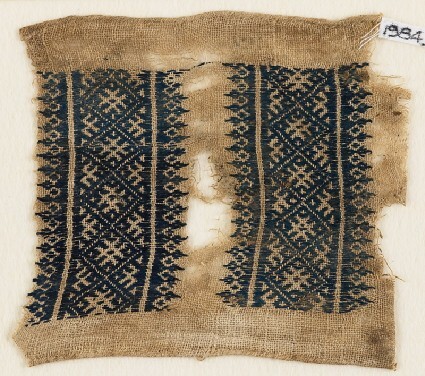 On two sides of the fragment is a rolled hem.